Jennifer Schubert-Akin is Chairman and CEO of The Steamboat Institute, an organization she co-founded in 2008. Jennifer is a graduate of the University of Oklahoma and received her M.B.A. from St. Edward’s University in Austin, Texas. Jennifer was the CFO of a large health and human services firm in Austin and later founded a small business consulting firm in Steamboat Springs, working with a variety of non-profit organizations and small businesses. Beginning in 2014, Jennifer assumed a full-time role as Chairman and CEO of Steamboat Institute. Jennifer is a graduate of the Leadership Program of the Rockies and served on that organization’s Advisory Board for several years. 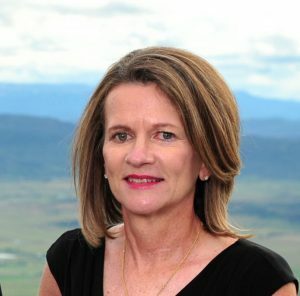 In 2013, she and her husband, Rick Akin, received the “Leaders in Action” award from the Leadership Program of the Rockies in recognition of their work in founding and establishing The Steamboat Institute as a nationally recognized leader in advancing conservative thought and policy. Jennifer is a member of the Advisory Board for the University of Colorado Center for Western Civilization, Thought and Policy; the 10-member Selection Committee for the Visiting Scholar in Conservative Thought & Policy at CU-Boulder; the Advisory Board for the Ed Snider Center for Enterprise & Markets at the University of Maryland; and the Advisory Board of Docs 4 Patient Care Foundation. Jennifer previously served as a Community Representative on the Steamboat Pilot & Today editorial board, Steamboat Marathon Committee, and Tax Policy Advisory Board appointed by Steamboat Springs City Council. In her free time, Jennifer enjoys competing in triathlons and trail running with her 4-legged children, Boomer and Cruiser. She has completed 3 Leadville Trail 100-mile Races, the Western States 100-Mile Endurance Run and the last 24 consecutive Boston Marathons, raising more than $122,000 for the National Multiple Sclerosis Society along the way.